Secretbees Studio: Crafty Girl Sewing Jar! Hi everyone! 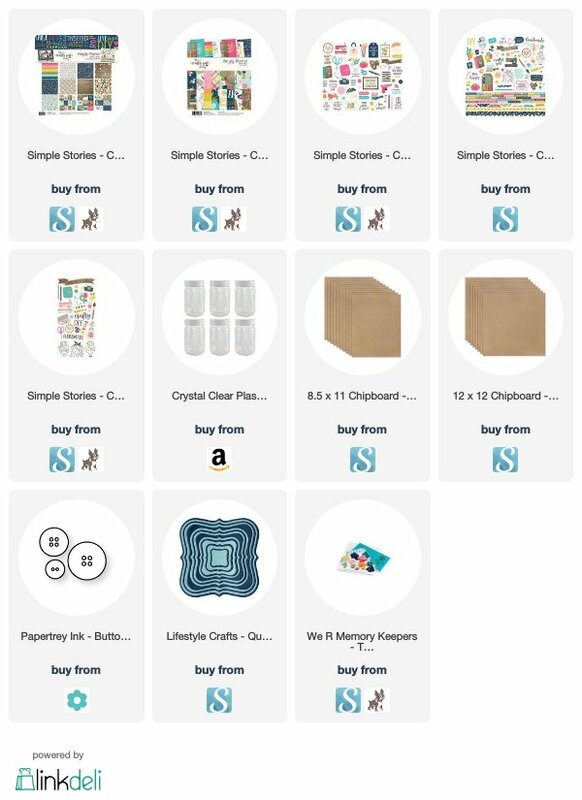 I'm all about practical gifts that look amazing too! 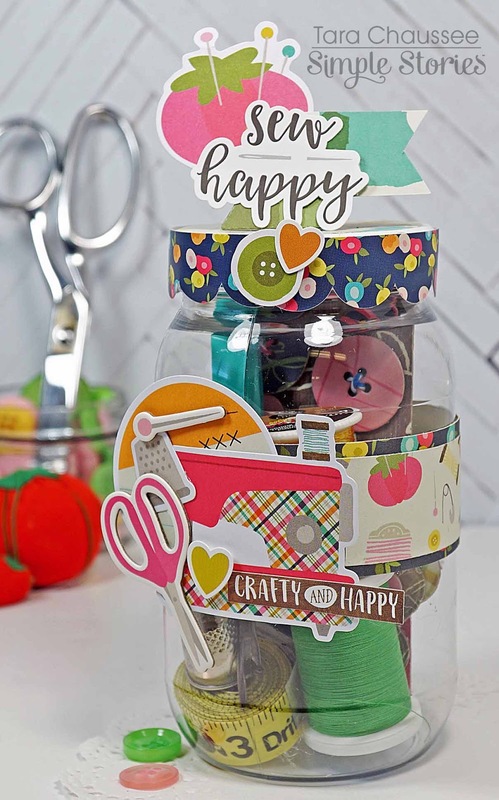 Case in point, this sweet jar full of sewing supplies that is decorated with the fabulous 'Crafty Girl' paper collection from Simple Stories! We all have friends that would love this simple, useful and adorable present. The jar is from Amazon and is plastic so it's very light and non-breakable which is always a plus! 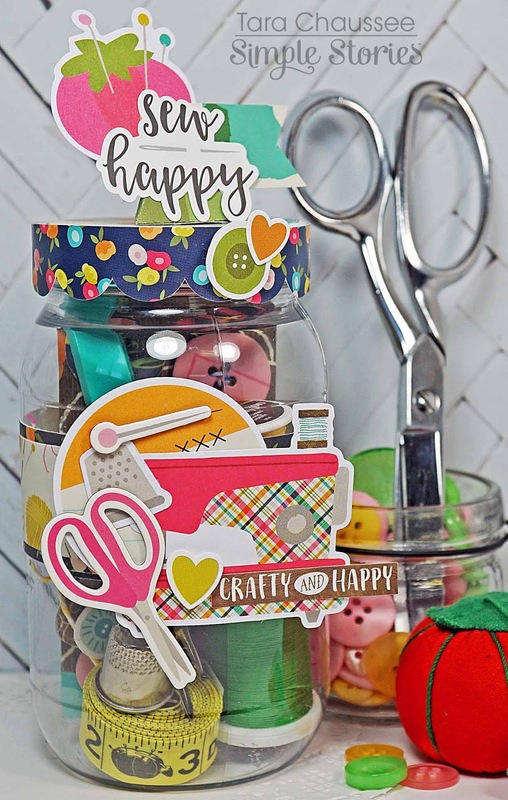 I started by covering the top of the jar with a fun pattern and then added the sweet scalloped sticker around the edge. More embellishments with the Bits & Pieces and stickers were incorporated for a seriously cute look! The notions paper around the jar is one of my all time favorites- it is so stinking' cute! I layered it with another pattern and simply glued it together at the ends. 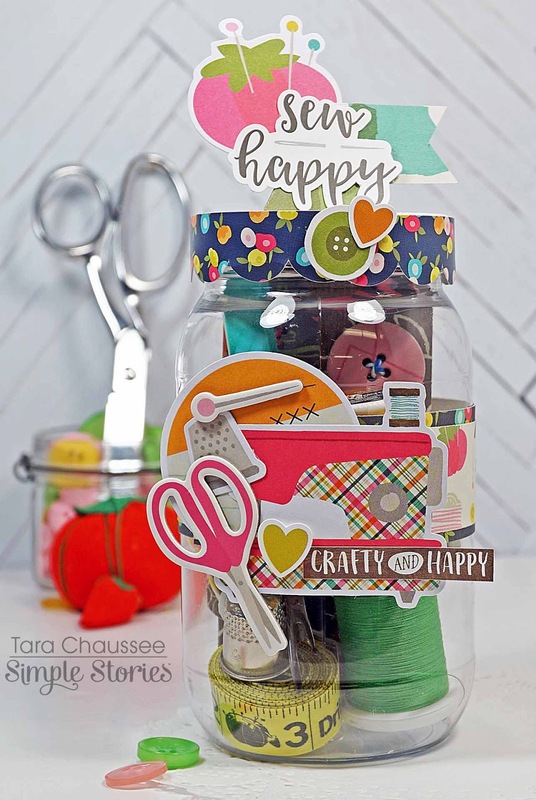 Lots of stickers, chipboard and more Bits & Pieces were layered together to create the wonderful centerpiece of the jar. Perfect for a sewing newbie or even an expert that needs a cute decoration for their sewing room! In keeping with the sewing supplies theme, I even created some designs for the inside of the jar as well! 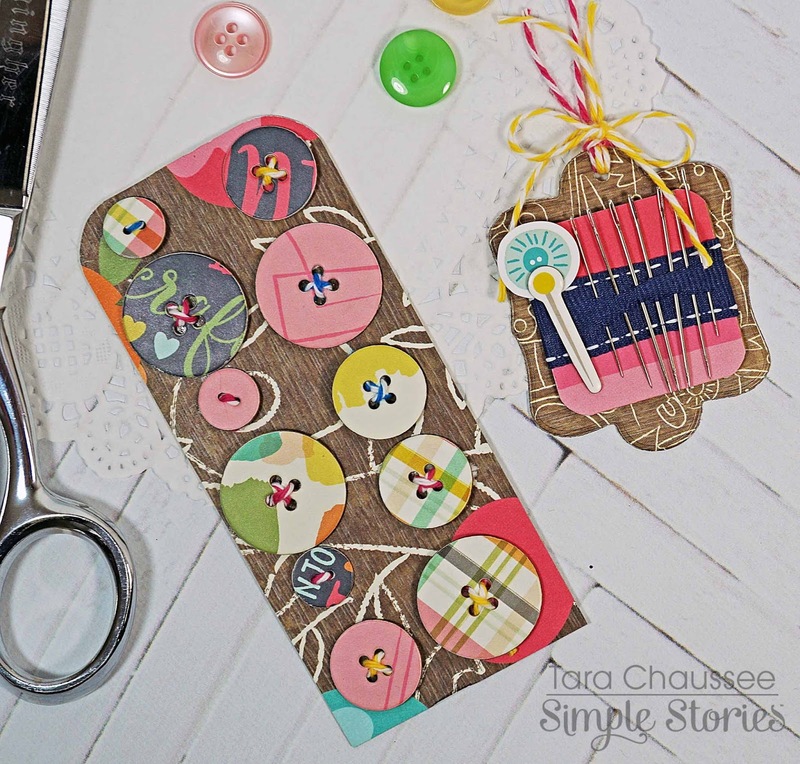 There is an adorable needle holder that not only keeps needles organized but looks great too, and I couldn't resist making some buttons from the charming patterned paper!